This beautiful bracelet reminds me of the blue waters of Hawaii. The center stone is beautiful Dichroic glass bezeled in gold seed beads accented by Swarovski crystals. 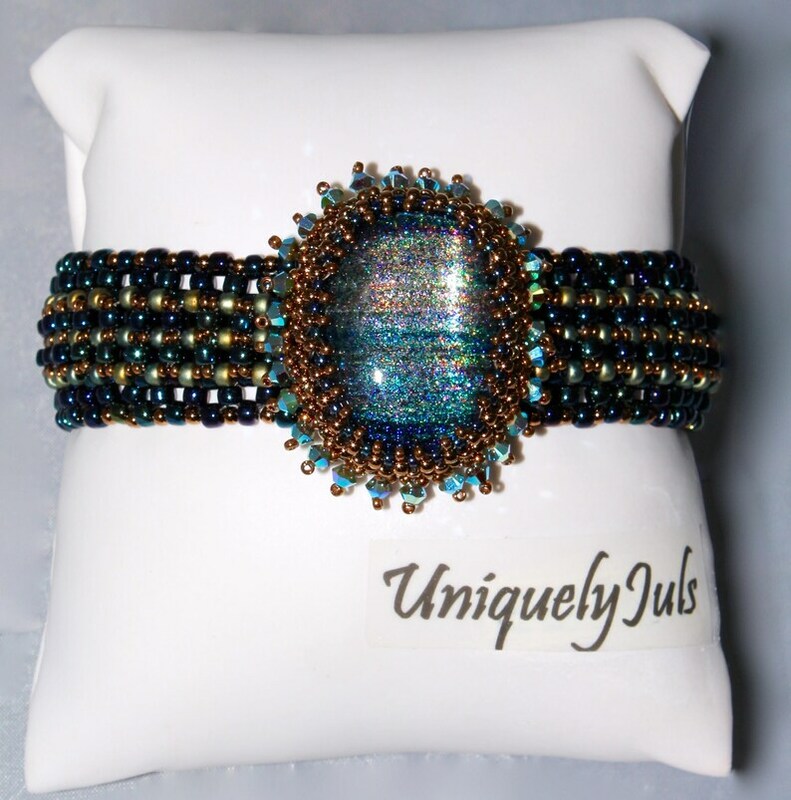 The band measures 1 in wide and is hand beaded with high quality Japanese seed beads of Navy blue, gold and sea green. Total length of the bracelet is 8" including the gold box clasp. This bracelet is sure to get attention.